Be surprised by the Canary Islands Cetaceans Museum in Puerto Calero, Lanzarote. The Canary Islands Cetaceans Museum is located in Puerto Calero, in the municipality of Yaiza, on the south of Lanzarote in the Canary Islands. 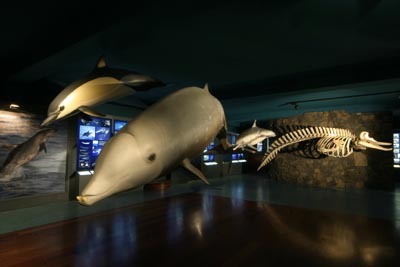 The Canary Islands Cetaceans Museum has been created with the goal of promoting knowledge, conservation and investigation on the marine life natural heritage of the Canary Islands. This museum was the first museum in Spain specially dedicated to the cetaceans. Furthermore it’s one of the few museums that were able to capture some information on the oceanic species. Due to this museum, you might have a full vision on the cetaceans and their natural habitat with special attention to the Canary Islands’ species. It’s important to mention that all the information exhibited in this museum is available in spanish, english and german. Regarding its facilities, all the rooms have been accommodated to be accessible to disabled people. Inside you’ll find four different rooms dedicated to different collection, a media rooms and a specialized shop where you might acquire books, educational games and a wide variety of cetaceans related objects. The first room is dedicated to the marine mammals and their evolution. The second room has information on the life in the ocean, the perception of the environment and the search and capture of preys. The third room shows you the main characteristics of the 27 species of cetaceans present in the Canary Islands. Last but not least, on the fourth room you’ll be able to understand some of the biggest conservation problems that affect these species, some of the plastic containers accidentally swallowed by some of these animals and even have the opportunity to listen to the acoustic pulses generated by the sonars. The museum offers you the chance to take part in a guided trip on different languages. Throughout the day you’ll be able to engage trips in spanish and english. Previous booking also allows you to take part in a trip in german. All these guided trips will take you through every room of the museum while explaining its content. If you enjoy the marine world, or are simply attracted by the cetaceans, you should visit the Canary Islands Cetaceans Museum in Lanzarote, as it promises to be an educational visit with many entertainment activities. 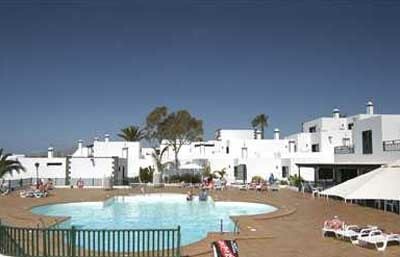 To get here it’s advisable to rent a car in Lanzarote and head to the municipality of Yaiza, which might be done through the LZ-2. 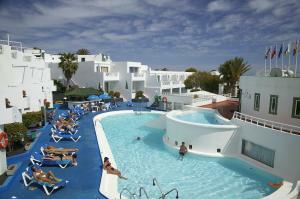 Once in Yaiza you should head to Puerto Calero. It’s also possible to get here by public bus or taxi. Edificio Antiguo Varadero, Planta 1ª Local 11, Calle isla de Lobos, Urbanización Puerto Calero (Yaiza) – Lanzarote. Tuesdays to Saturdays from 10am till 6pm, closed on mondays and sundays. +34 928 84 95 60.